Patrick Ryan laughs as he recounts his path to becoming one of the foremost champions of “real bread” in Ireland; to say the least, it has been punctuated by plucky leaps: from law school to culinary school, training in one of Dublin’s most celebrated restaurants to cooking with housewives in Fiji, co-founding a bustling bakery in the UK to establishing a bread baking school on a remote Co. Cork island. 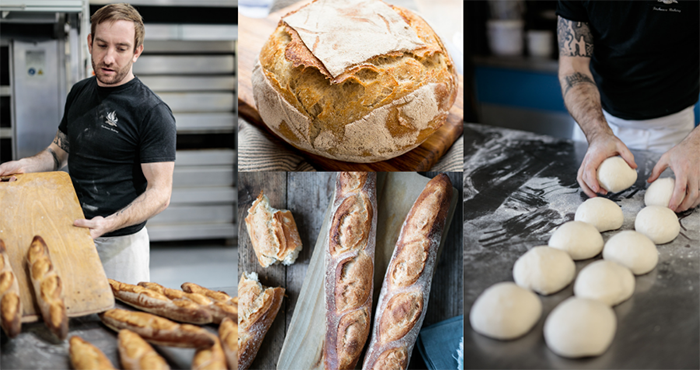 The driving force has been a dedication to following his passion, helping him garner the knowledge and mastery to elevate the humble process of bread baking to an art accessible by the masses. Patrick Ryan rather dislikes using the term “real bread,” but there are few alternatives to capture the calibre of what he produces at The Firehouse, especially when compared to what most of us let pass as this food staple. Patrick and Laura — his business partner and wife — established The Firehouse Bread School on the rather remote Heir Island in Co. Cork in 2012 before opening The Firehouse bakery and café in Delgany, Co. Wicklow the following year. The bakery is a brick-and-mortar homage to the best parts of bread: the wood-burning oven breathes warmth and ambiance into the café (not to mention handmade flatbreads and pizzas), as diners nestle themselves into cosy tables for a warming breakfast, hearty lunch or a leisurely cup of top-notch coffee. An open view into the kitchen complements the ambient buzz, which Patrick notes has been known to heighten to queues out the door. The highlight, of course, is the bread: wicker baskets teem with fresh, crusty, artisanal loaves that are always and only made with the best ingredients. This means no preservatives, additives or chemical raising agents; all of his leavened breads rely on the traditional proving process, whereby yeast reacts with the naturally present sugars in the flour to help the dough rise slowly and purposefully. Patrick is right to note that this is how all breads rose before the invention of bicarbonate of soda about 150 years ago, a fact that is useful to have in the back pocket any time someone is quick to deem sourdough a “trendy” bread. For Patrick, however, it’s not what isn’t in Firehouse Bakery breads that is most important, but rather what is: flour, water and yeast. From learning about the different properties of the grains he sources for his flours to following up with the dairy farmer when the most recent delivery of Irish butter was producing ever-so-slightly different pastries (the cows had recently changed diets apparently), Patrick ensures that everything that goes into his breads is of the highest possible standard and made according to methods that extract the most goodness from the ingredients. This has earned Firehouse breads the term “real bread” — a semantic frustration, in that this is how all bread really should be made. 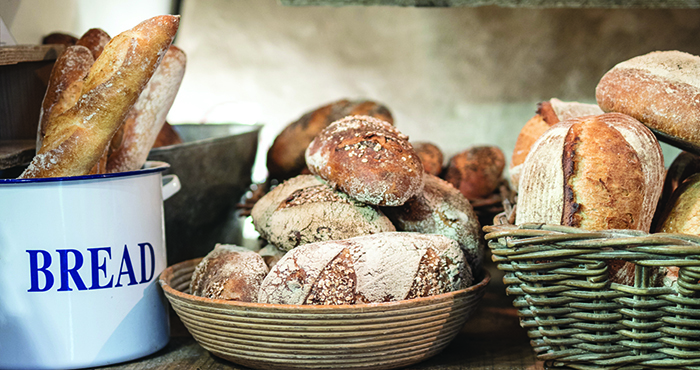 Wordplay or no, the real bread revolution has gained serious ground among bakers, chefs, restauranteurs and lovers of food across Ireland. Patrick is a founding member of Real Bread Ireland, a support network of bread bakers whose aim is to bolster “real” bread baking practices and to make it easier for consumers to find those bakers. The Firehouse is certainly doing its part: it supplies freshly baked bread to over 80 locations in Ireland and Patrick is ready to see this grow. The newly upgraded commercial bakery will not only support more production capabilities, but also has a dedicated space that will be used as a second bread baking school location by May 2019; a very welcome addition, as the Heir Island courses book out almost immediately. It would be foolish to put an end goal on the success The Firehouse might yet reach. In eight short years, it has become a cosy meeting spot for locals, a source of support for bakers, a driving force of proper food education and a Mecca for bread lovers across Ireland; we think the best course for us is to let Patrick continue down his path, wherever that may lead. Have you always been drawn to cooking and baking? Actually, no — it was a rather funny path. I was originally a student in corporate law: I did my leaving cert having just barely turned 17 and decided on corporate law because it sounded good, which I think is what a lot of us do. Realistically, my best subjects were maths, chemistry and physics… I should have done engineering! I didn’t really know what I was doing or getting into, but I finished the degree all the same. Afterwards, I spent a summer in Greece on one of the islands and ended up in a restaurant kitchen just to make a bit of extra money. I was really just chopping parsley but I found it so interesting and decided to do the two-year cheffing course at GMIT. I’m sure my parents weren’t overly delighted when I decided to become a chef, but I think it’s always interesting to look back and see where your life could have gone had you not followed your passions. I worked in Thornton’s Restaurant right out of college, which was an incredible experience and really allowed me to learn from some of the best in the business. It was the first time I had made bread properly too. After that, I went travelling; I was in Fiji at one stage, where we were helping out in this small village, teaching new methods of self-sustainability. I decided to go and help the women in the kitchen and found we had all the bits to make bread, which is what we did. I met Duncan Glendinning there; he was a web developer based in Bath and always had the idea of setting up his own bakery. He thought my bread was amazing… probably due to the fact though that he had been living on an island for a year! We kept in touch and he asked if I’d be interested in setting up a bakery in Bath. Sure, I went and did it; we called it The Thoughtful Bread Company. 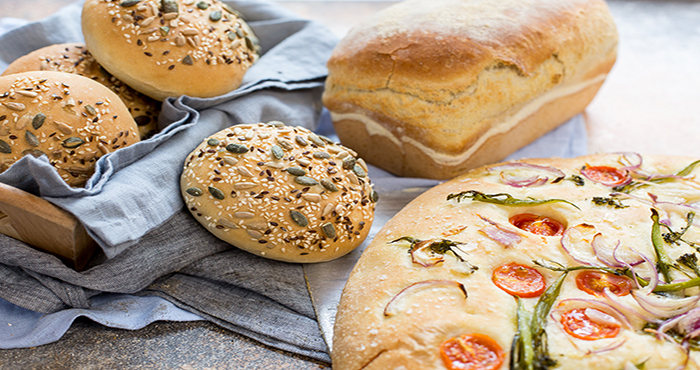 As the name implies, we focused on artisan bread made from sustainable, quality ingredients. When I started experimenting with bread, the benefit I had was that I wasn’t a baker, but rather a chef. So I’d be concentrating on different flavour combinations and methods instead of getting too caught up in anyone else’s version of how the bread was “supposed” to be; it worked well and allowed us to put out some really cool breads. Then, as the bakery grew, we developed our bread-making process and tweaked what we had on offer. Being involved in setting up a business was really exciting, and the company took off — we were involved with a three-part series on BBC, we released a cookbook and we were supplying bread to loads of shops. Most importantly, I found that I loved working with bread — real bread. Baking is really mathematical, which comes naturally to me. It can be a lot of trial and error to get the recipes right, but really the worst thing that’s going to happen is that the bread just doesn’t taste nice! Understanding what goes on in a recipe helps you to create your own and work from there. What was the catalyst for returning to Ireland? Laura and I had been in the UK for five years and it was time to move on. Laura was ready to come home and, at the end of the day, we are quite patriotic; when we decided to set up The Firehouse, we figured that if we’re going to do this, we want to do it at home. People thought we were mad, though: it was the middle of the recession, the business in Bath was doing well and we had just done the series with the BBC. But we were passionate about bringing this business to life here. I didn’t have a business plan per se, but I knew how much I had to lose and figured if it didn’t work out, I would just have to try again. What were the early days like for The Firehouse Bakery and Bread School? Laura and I decided to return to Ireland and set up the bread school in her home of Heir Island, Co. Cork in 2012. 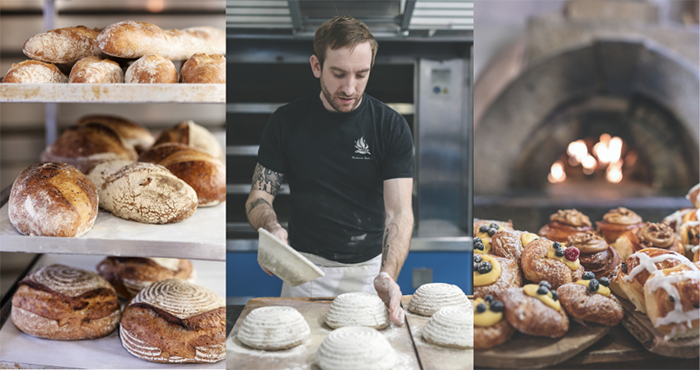 We wanted to make honest, artisanal bread readily available across Ireland, while also teaching people how to make it themselves. The courses quickly got a bit of traction and we’ve been constantly booked up ever since. I thought that the island location would have been a hindrance, but it’s been totally the opposite; it’s become part of the attraction. The following year, I was contacted about a new premise in Delgany, Co. Wicklow and would I be interested in setting up a bakery there. Like Heir Island, Delgany is a quiet enough spot, but locals were ready for something exciting there. The idea behind The Firehouse was to bring back the village bakery and reintroduce people to great tasting bread. We were probably a bit naïve going in, but as we had the opportunity to do it, we wanted to give it a go. We made sure that everything about the experience of visiting The Firehouse was memorable; it had to be great bread, pastries, tea, menu…and all value for money. It was the recession, so people didn’t want to feel ripped off. Bread is non-discriminative; every culture has it and it has to be affordable. I wanted people to feel like they could come back a few times per week and really make the local bakery a part of their routine. How is The Firehouse different to what consumers might be accustomed to? You could almost say that our breads are more European than people might be used to, but that’s not exactly true; the way we make our breads is really how they have been done for thousands of years. People are quick to say that soda bread is the traditional bread of Ireland, and while it has a really important role in our food culture, it wasn’t made more than 150 years ago as that’s when bicarbonate of soda was invented. So your granny or great granny may have made soda bread, but it doesn’t go on much further back than that. Before this, leavened breads were all made the same way we do here — with flour and yeast proving over a longer period of time. Once chemical raising agents were invented, the bread making process could be sped up, making it cheaper and easier to produce loaves, but there’s a lot of quality lost there. While bread baking is my passion, it is still a business. We added the buttermilk batch bread as people were interested in a softer bread option, and have also added a seedy brown bread, which is a traditional unleavened brown bread. What is the biggest draw to the courses at Heir Island? We designed it based on what we’d want to get from a course, and that’s always the hands-on experience. We keep spaces limited so that everyone gets a chance to get their hands dirty and gets as much as possible out of the course. How are you educating people on what makes real bread? I don’t think there’s anything particularly great about our bread — it’s just bread as it should be. People have forgotten what bread tastes like. When you start eating good bread, it’s only when you go back to eating supermarket bread that you realise how much better the real stuff is. 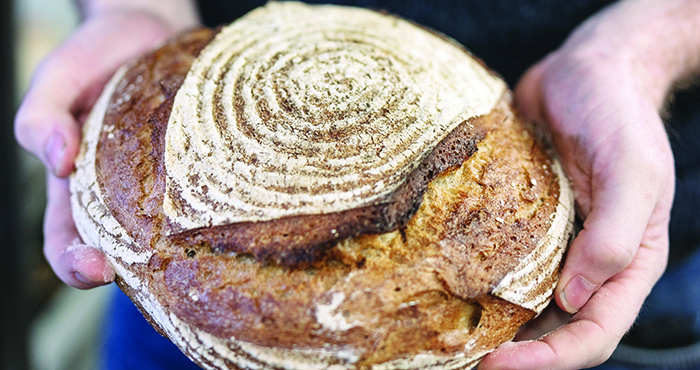 We constantly push the message out that we only make bread without additives, and this has been really important with people who have food intolerances. It’s no secret that it’s become somewhat fashionable to follow a gluten-free diet. Only about one percent of the population is diagnosed as coeliac, but nearly 13% follow a gluten-free diet. Some of this could be bad reactions any of the many additives and chemicals included in mass-produced bread, and we love when customers tell us that they’ve started introducing our bread into their usually gluten-free diet and have had no adverse reactions. A lot of cheaper commercial flours use wheat that has been sprayed with pesticides to kill the grain, which makes it easier to mill it more quickly and extract more from it, which is certainly not how bread was traditionally made. Sourdough bread has been around since 5,000BC, and we’ve been generally fine until now. The secret is all in the ingredients and the process; rather than using fast-acting chemical raising agents, our bread benefits from a long, slow fermentation. Gluten is a basic protein that forms when you add water to flour. The bacteria in yeast reacts with and breaks down the gluten proteins during the fermentation (or raising) process, making the bread (and gluten) easier for your body to digest. Plus, this is when the bread develops its rich flavour. So the main difference between commerically processed bread and ourselves is that they’re trying to speed everything up, while we’re trying to slow it down. What is the secret to great bread? In a word, time. A long fermentation and raising process is the key to great bread. On paper, a commercially processed white sliced loaf from the shop and a slice of good white sourdough are the same, nutritionally speaking. Again…on paper. The human body was not designed to break down grain, so as bread proves and ferments, the biodegradability of the grain improves, making it easier for our bodies to digest and extract more of the bread’s nutritional benefits. 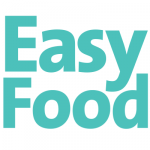 It’s not just the case for bread, but all food: the quick convenience foods are just not suitable for our diets. If you made things properly and use real ingredients, it’s hard to mess it up. What frustrates me — and probably a lot of other bakers — is when people think, “bread is bread.” It couldn’t be more untrue. We’ve started calling what we and other artisan bakers make “real bread,” which is a shame because this is just what all bread should be like. It’s the biggest buzz in the world to see what can come from a bit of flour and water, and I love when people get hooked on it. What breads would you recommend for a beginner home baker to try? From a nutritional point of view, soda breads aren’t the best, but they’re quick and simple to make and can help you build confidence with bread baking. When it comes to yeast doughs, I’d recommend using bread tins so that you can control the shape and, once you get more practice, move on to free-forming bread. Then start incorporating nuts, seeds, spices…whatever to make it your own. I think a lot of people tend to follow recipes to a tee, which won’t always work with bread; it’s got personality ­— it’s evolving and changing based on the weather, room temperature, ingredients… so when it comes to bread, it’s all about building confidence and getting to know it. Homemade bread will probably take a few tries, but it’s well worth it. For more information, visit www.thefirehouse.ie or realbreadireland.org.